Patrice is a dedicated volunteer who has an amazing story behind her volunteering activities. With a simple Google search for “volunteer opportunities in Broward”, she was connected to HandsOn Broward and has been volunteering with us ever since. 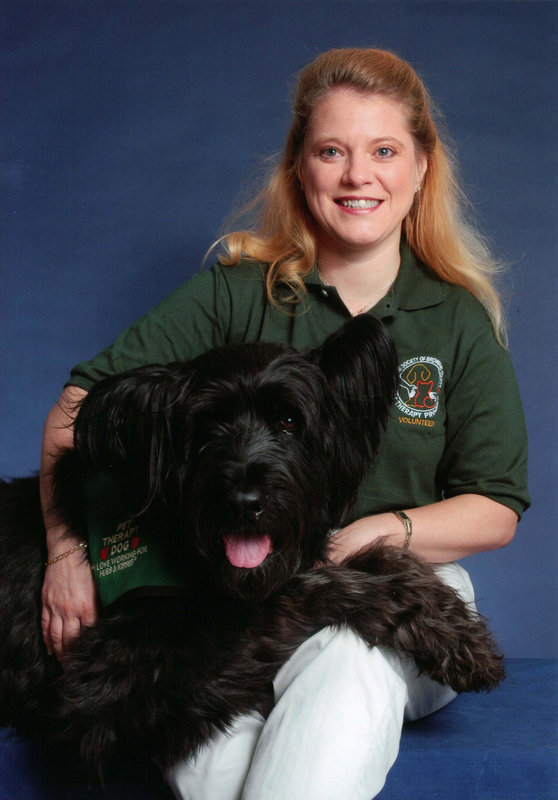 Patrice began volunteering with her obedient rescue dog, Max, a briard (the breed is nicknamed: ‘a heart of gold wrapped in fur’) as a Therapy Dog at the Humane Society of Broward County. The dynamic duo also worked with the Wags and Tails program teaching young children to read in the comfort of Pet Therapy Trained animals, as well as an eating disorder clinic to calm the patients during group therapy classes and visited senior centers. Patrice says that her noble, selfless and loyal Max was her role model for volunteering and his passing hasn’t changed her view on helping others throughout the community. She has also given time with FRIENDS Ranch and is looking at getting involved with Critter Care in the future. With a smile on her face and an enthusiastic attitude to serve, Patrice has earned the December 2011 Volunteer Spotlight and a big THANKS from the staff at HandsOn Broward!